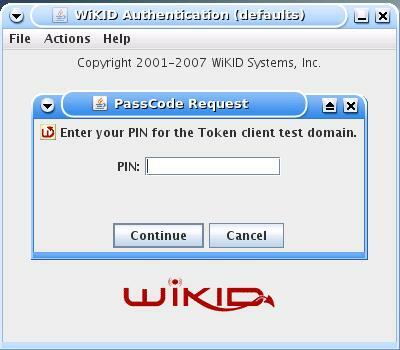 WiKID is a dual-source two-factor authentication system optimized for security and ease-of-use. WiKID uses public-key cryptography instead of shared secrets like most hardware-based solutions. 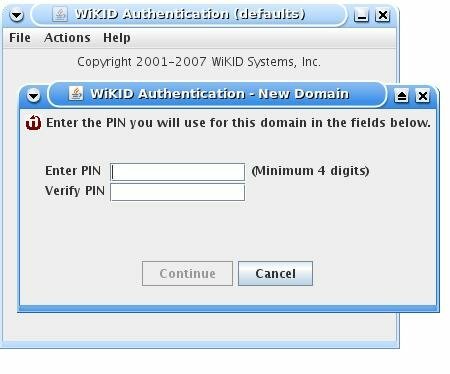 WiKID relies on validation of a user-selected PIN at the server – making it stronger and much more manageable than certificates. In this configuration, WiKID will handle user authentication and NoMachine will handle tunnel encryption and compression. 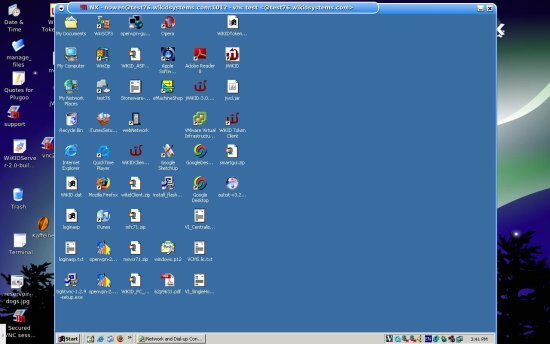 For VNC, I am using RealVNC’s Personal Edition. I did nothing to configure it, except add a password for authentication so details are not included. Both the WiKID server and your SSH/NoMachine server should be in the DMZ, with one card accepting connections from the Internet for client connections and the other configured for LAN access to exchange authentication requests and VNC connections respectively. 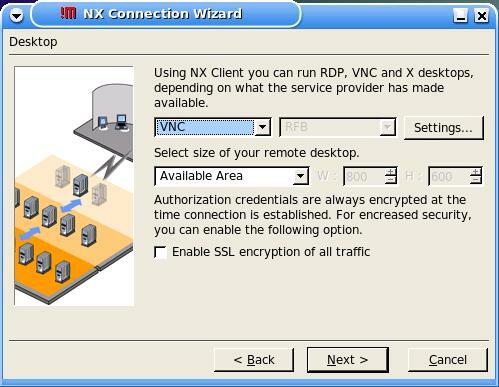 Here’s how it will work: to access to a remote desktop, start the NX client and enter a WiKID one-time passcode and username. 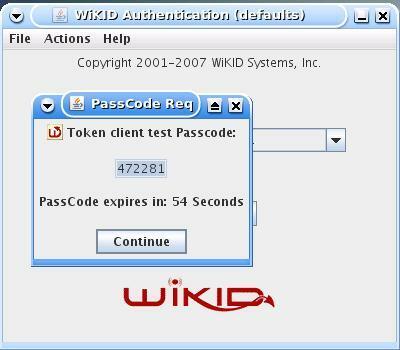 The user generates the one-time passcode on their WiKID token and enters it into the password prompt. SSH will route the username and one-time password to the WiKID server via pam radius. If the username and one-time password match what WiKID expects, the server will tell SSH to grant access. 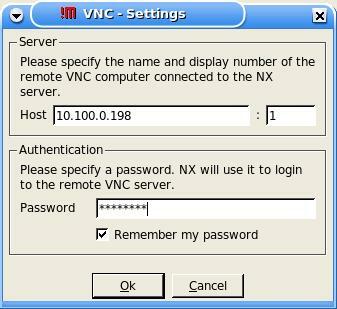 The NX client will then send the VNC password to the target VNC box. Fill in the form for a new domain. Leave “Registered URL:” blank that is just for SSL-based mutual authentication. Also do not check “Use TACACS+” and “Password Reset Domain:”. Passcode lifetime should be set long enough for the user to be able to log in. The default is 60 seconds, but you can increase it. The default PIN length is 6 digits, but you can set it for 4 if you prefer. “Device Domain Name” is what the user sees on the token client. The “Required” tag require two-factor authentication. Because we are only editing the sshd file, it will not affect terminal log-ins. 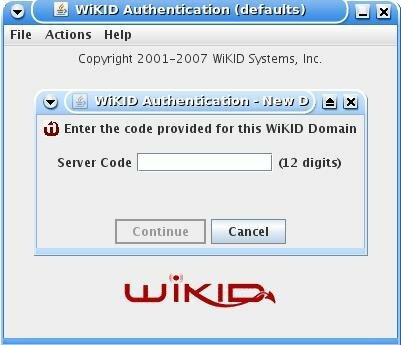 Enter the 12 digit domain identifier and the public key will be sent to the WiKID server. You will be prompted for a PIN. The WiKID server will store the PIN and return a registration code. At this point, the account has been created on the WiKID server, but it is not active. 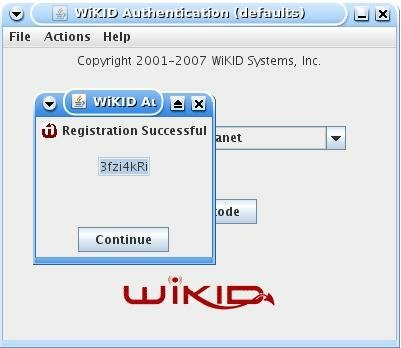 You can create self-service registration pages for users based on existing trusted credentials or out-of-band mechanisms, but in the case, we will manually validate the user on the WiKID server. 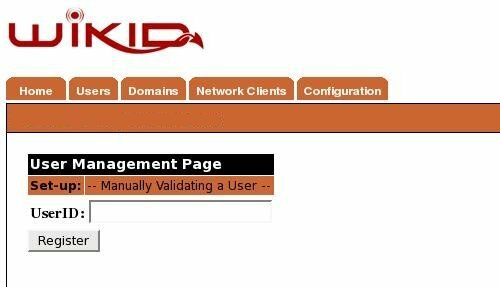 From the WiKIDAdmin web interface, click on Users and Manually Validate A User. 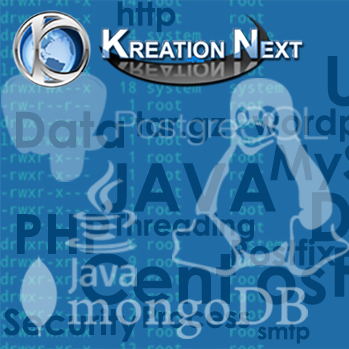 Click on the Registration Code and enter a user name. Enter the internally routable IP address target PC and the VNC password. 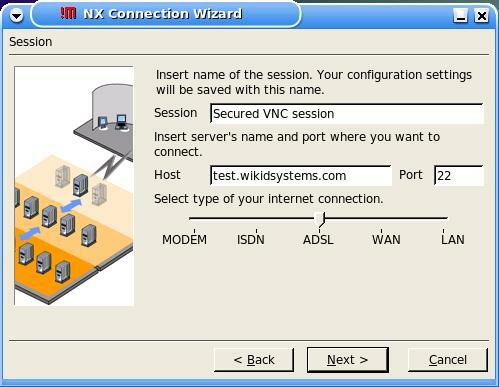 Remember, this connection is between the NX server and the target VNC box – it should occur inside your firewall. Select “Create a short cut on the Desktop and Finish. 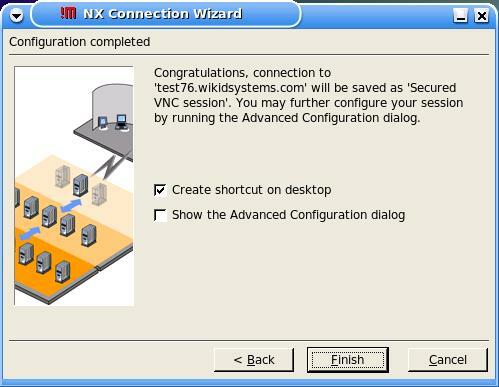 Once authenticated, NX will launch giving you a secured, strongly authenticated VNC session. Security always involves trade-offs and it’s never perfect. Users want all the power they have inside the firewall outside the firewall. 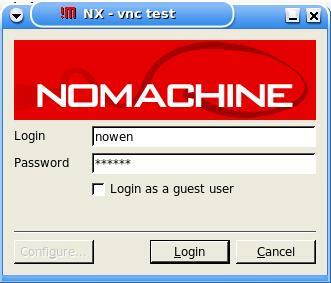 By combining NoMachine’s NX server, WiKID’s two-factor authentication and VNC, you can give users remote access without sacrificing security or speed.